It is with deep sadness that we announce the passing of Milton Finger. 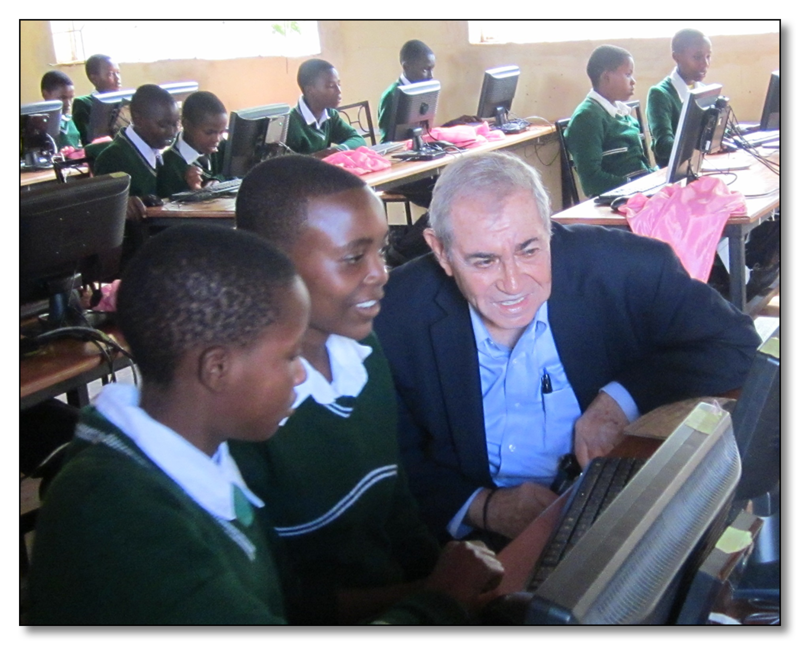 Milt traveled to Tanzania with our founder, Janice Lathen, in 2012 on behalf of the Livermore, CA Rotary Club and afterward became a passionate advocate for Powering Potential. He served as the first Chair of the Board and helped establish a solid foundation for the organization. Milt served with distinction as deputy director at the Lawrence Livermore National Laboratory. He was a true gentleman and friend and holds a precious place in our hearts. We will miss him dearly. Powering Potential is a 501(c)(3) nonprofit run by a committed group of professionals who believe all people deserve to have access to modern educational resources. On this website, you’ll find information about our programs, our mission, and the employees, volunteers, and contributors who make our work possible. Use technology to enhance education and stimulate the imagination of students in underdeveloped countries while respecting and incorporating values of the local culture — especially cooperation over competition, community over the individual, modesty over pride, and spirituality over materiality. All students experiencing the joys of technology: Efficient production, easy access to information, and communication with others. Percentage of Tanzanians who do not use the Internet. Provide Technological Infrastructure so rural schools are able to teach the national Information and Computer Studies (ICS) curriculum. Most rural schools lack the equipment required to teach the national ICS curriculum. They cannot afford computers and lack access to electricity. This necessitates utilizing solar power systems. Provide Access to digital educational resources. Though online access would be ideal, internet service is oftentimes prohibitively expensive in rural areas, so PPI’s programs currently focus on offline digital libraries in the form of RACHEL (Remote Area Community Hotspot for Education & Learning) systems. Provide Training for select school staff so they are able to effectively facilitate use.